Over the weekend, thousands of volunteers came together for the 34th annual California Coastal Cleanup Day, picking up hundreds of thousands of pounds of trash from beaches up and down the state. One group used the occasion to host an event in Santa Monica that asked a broader question: What if something could be done to reduce the creation of trash, particularly harmful plastic, before it ended up on beaches at all? Story of Stuff Project held what it calls “brand audits” in Santa Monica and other coastal cities around the world as part of the #BreakFreeFromPlastic action campaign. When volunteers fanned out across the sand in Santa Monica, they didn’t simply collect plastic trash, they also logged what they were gathering. The data collected from the audits is going back to Story of Stuff’s research team to crunch for a report that will be released in early October. 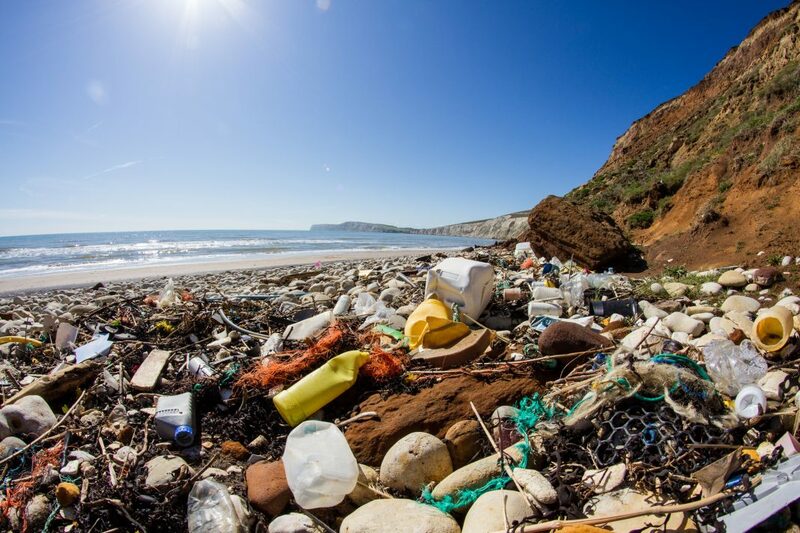 The goal will be to identify which product categories and individual manufacturers are responsible for the largest share of plastic trash that ultimately ends up on beaches. With that report in hand, the org and their partners, which include Greenpeace and the Surfrider Foundation, will launch an awareness campaign aimed at helping companies cut back on their production of items that end up as pollution. RELATED: Is This the End of Venice Beach as We Know It?